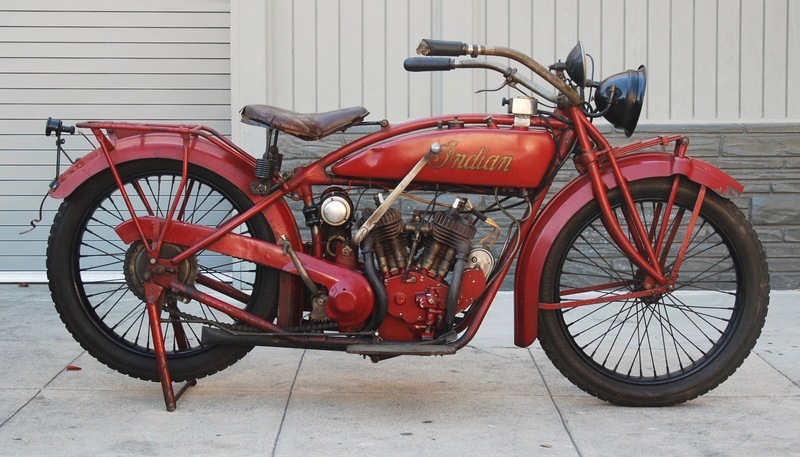 Following the end of World War I, overall motorcycle sales were disappointing, especially at Indian. 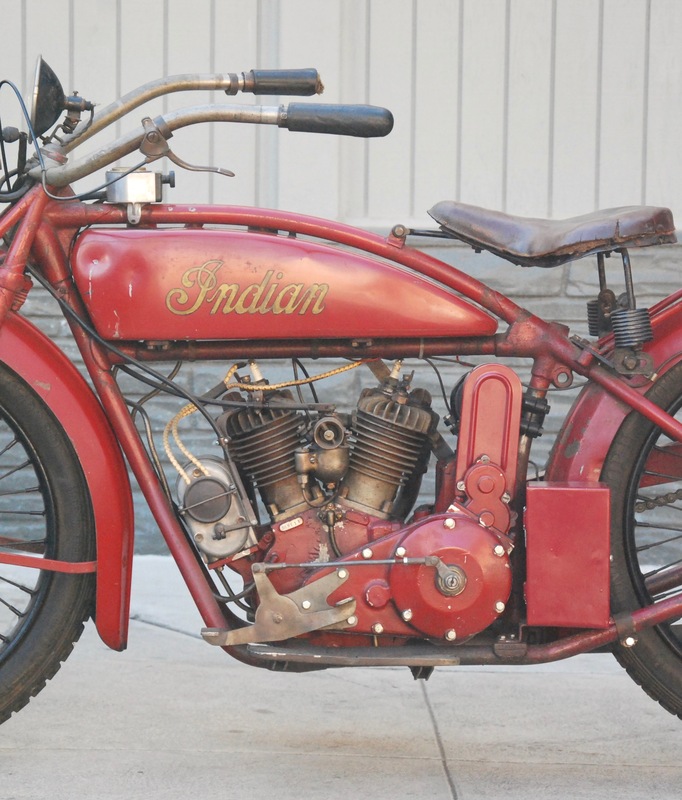 Relying too heavily on lucrative military contracts, the company left their dealerships hanging for several years and didn’t introduce any new motorcycles. What the company offered was the spring cradle framed Powerplus. 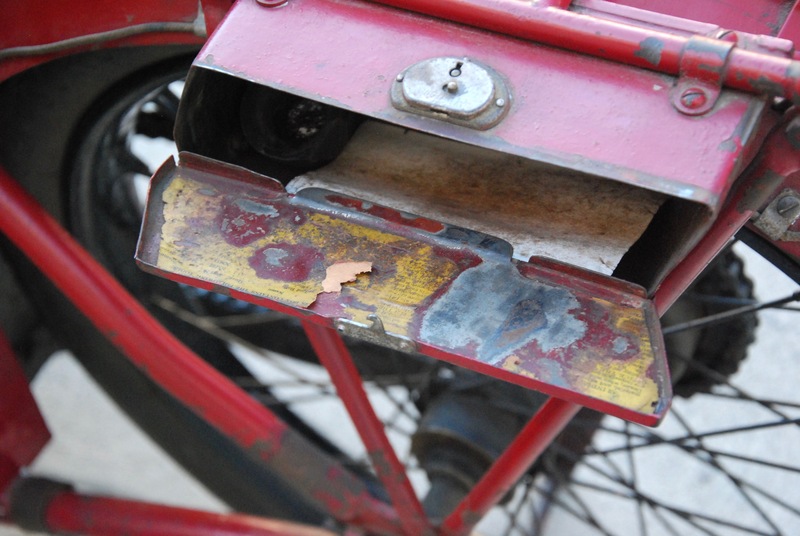 Its performance was adequate but the bike had become a bit stodgy with its outdated appearance and tall chassis. What was needed was a new machine for the everyday rider who was perhaps intimidated by the tallness of the Powerplus. 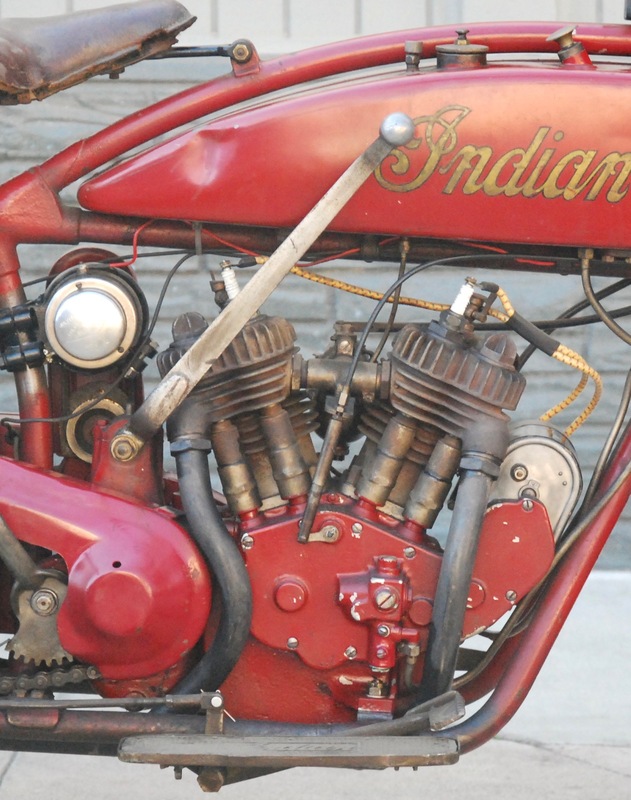 The duty to design a new motorcycle fell onto Indian’s Chief Engineer, Charles B. Franklin. 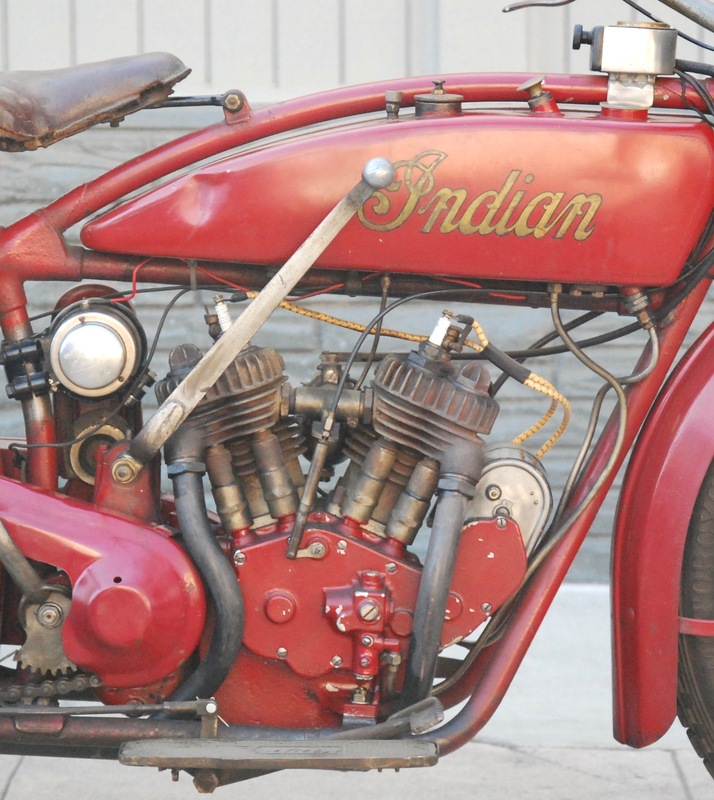 His vision was to have a smaller, stouter and lighter motorcycle that would attract new riders to the Wigwam. 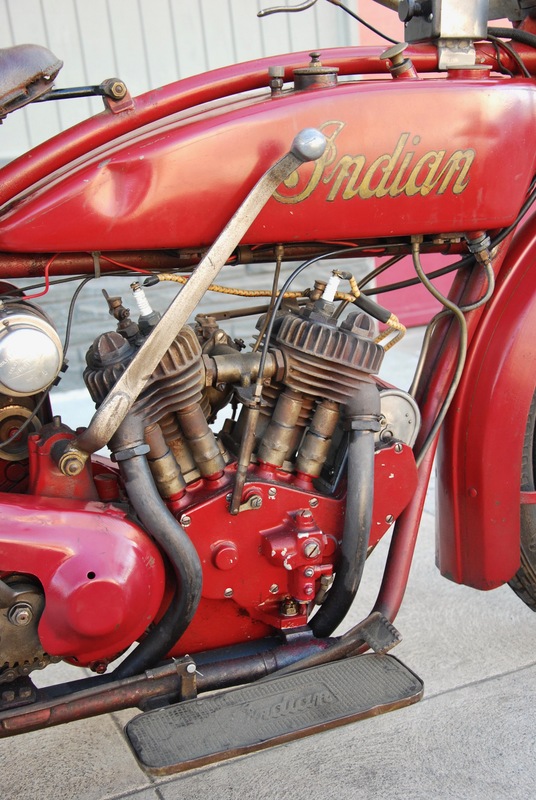 The new motorcycle would retain the sidevalve engine but would be smaller. 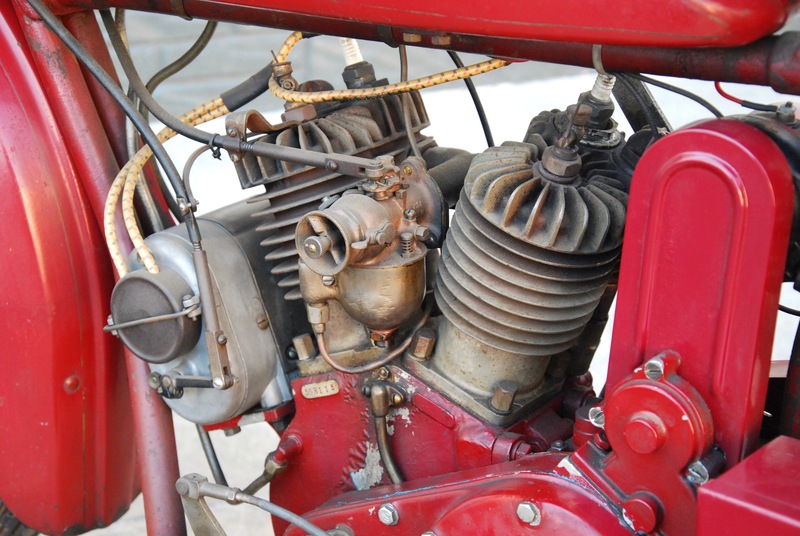 The reasoning was the sidevalve motor was tidy, less expensive to manufacture and operate, and had decent power, even for a small motor. 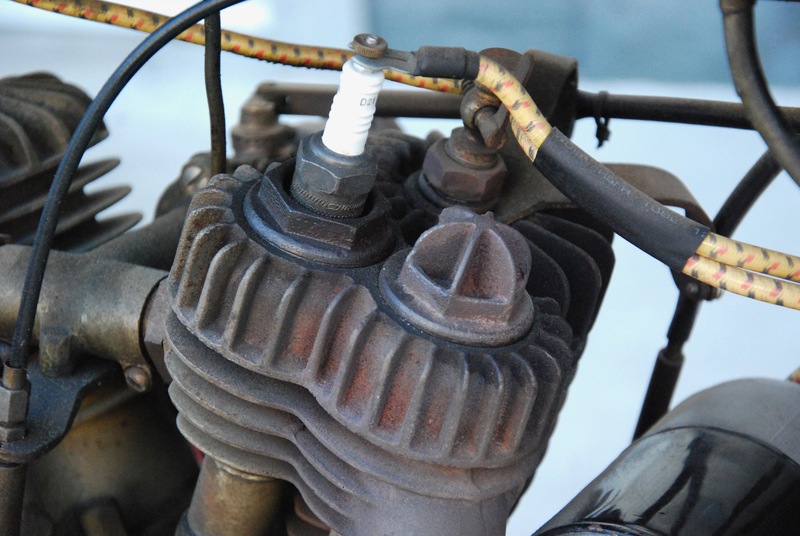 What set the new motor apart was it was compartmentalized to reduce its size, with the transmission secured to the crankcases with a cast aluminum primary case. Expensive but highly durable helical gears joined the transmission to the engine. 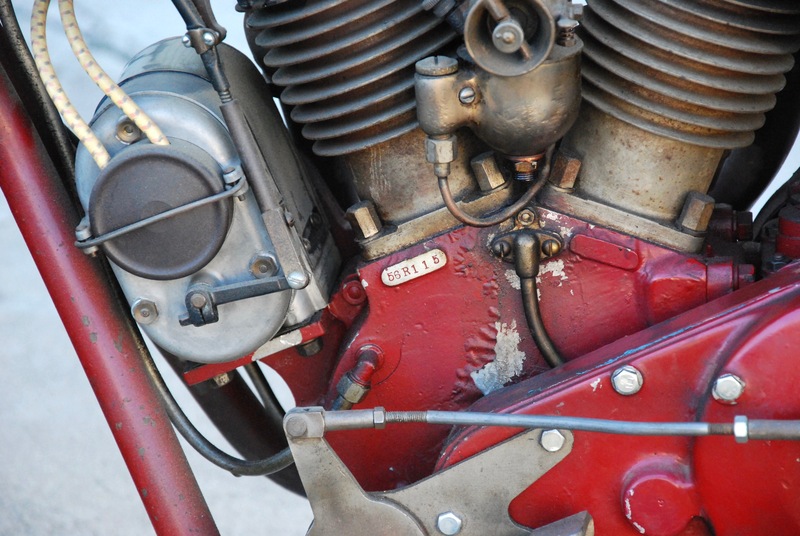 Until that time, motorcycle frames were flat, with heavy single down tubes in both the front and rear of the chassis and with single tubes for the top rails. By creating a double down tube frame, the chassis would be stiffer and lighter because a shorter frame also allowed thinner wall tubing. 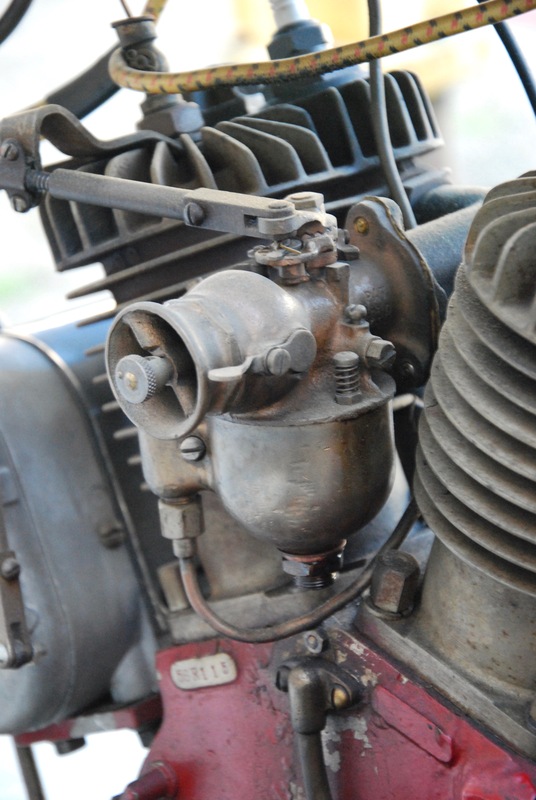 Any deficiency in the power output of the motor could be erased by the lightness of the chassis. 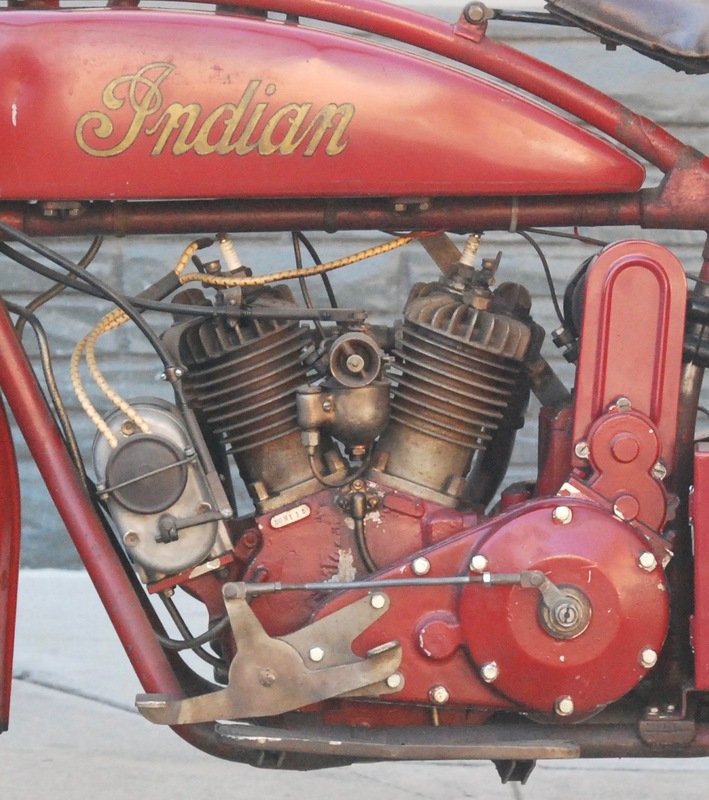 Christened the “Scout”, it was the first time Indian themed names were given to the company’s motorcycles. 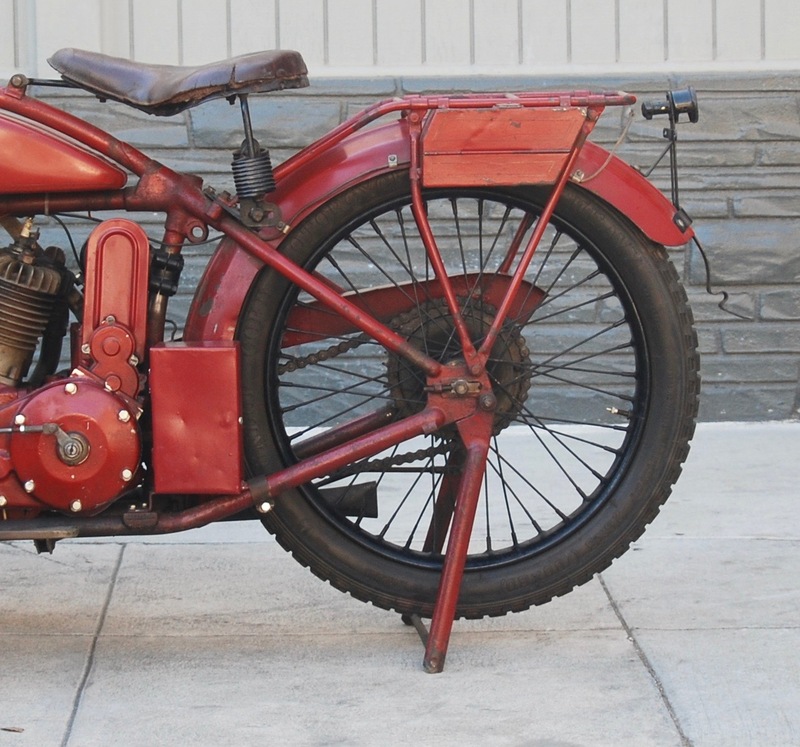 The new 37ci Scout proved to be a sensational motorcycle when it was debuted in late 1919. 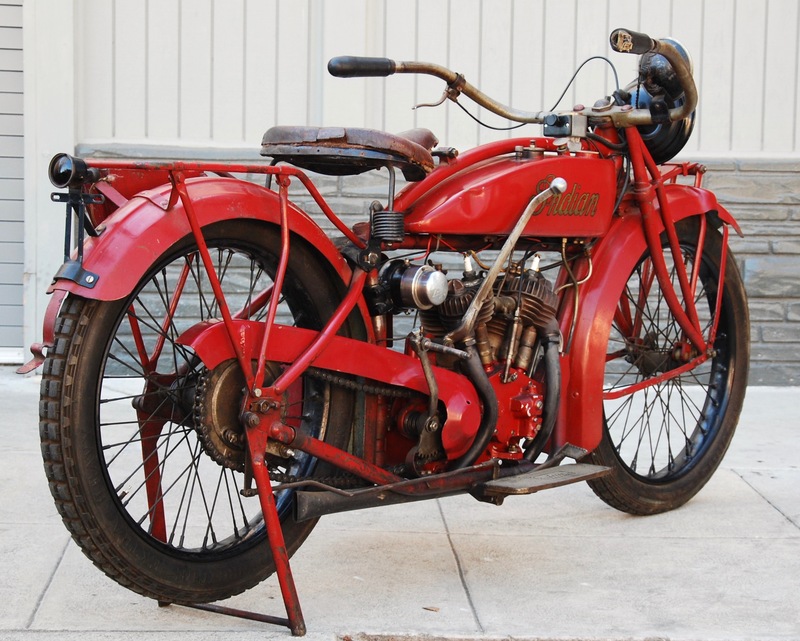 A light middleweight motorcycle, it was attractive to both new and seasoned riders. 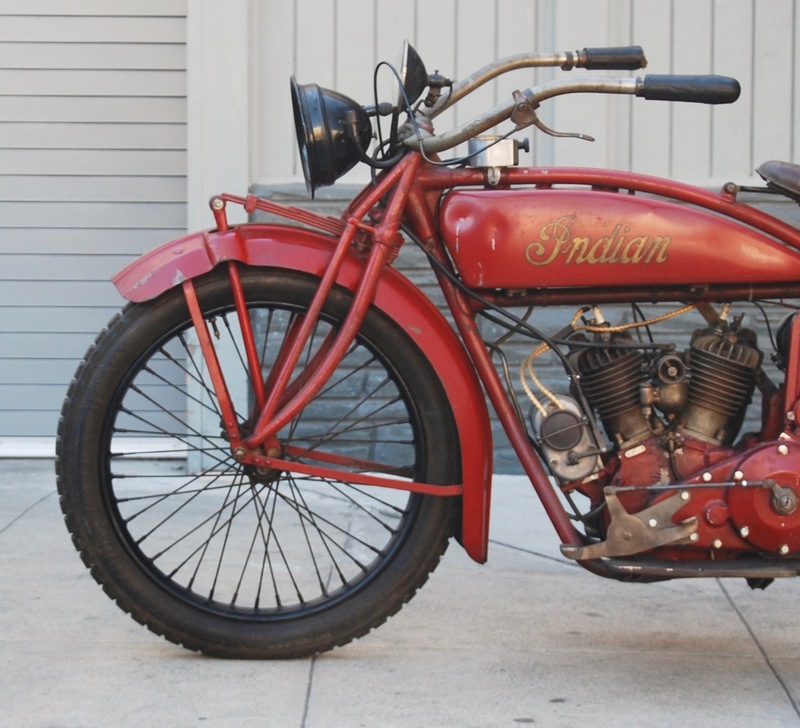 Like the Ford Model T, it became the “every man’s motorcycle”. 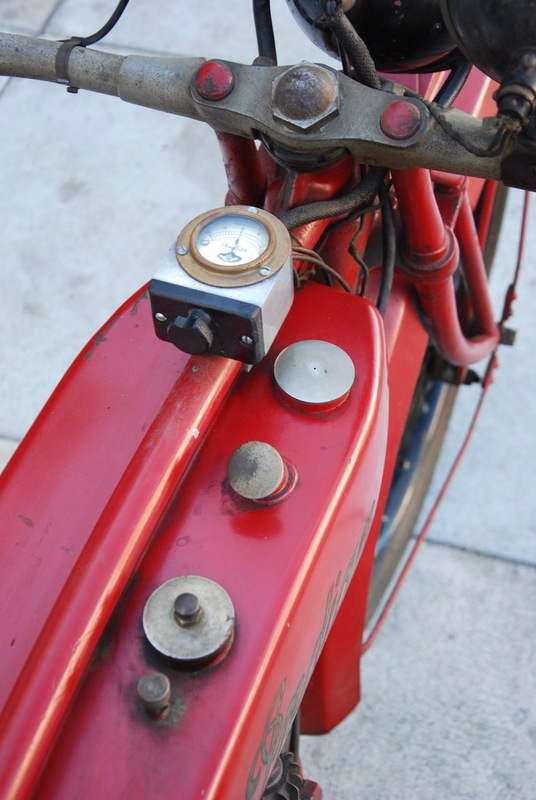 It was rugged and dependable, fresh to the eye in styling and proved to be a quite durable mount. It would cruise at 50 mph dependably and even set a world’s record in 1920, covering 1114 miles in 24 hours in Australia. 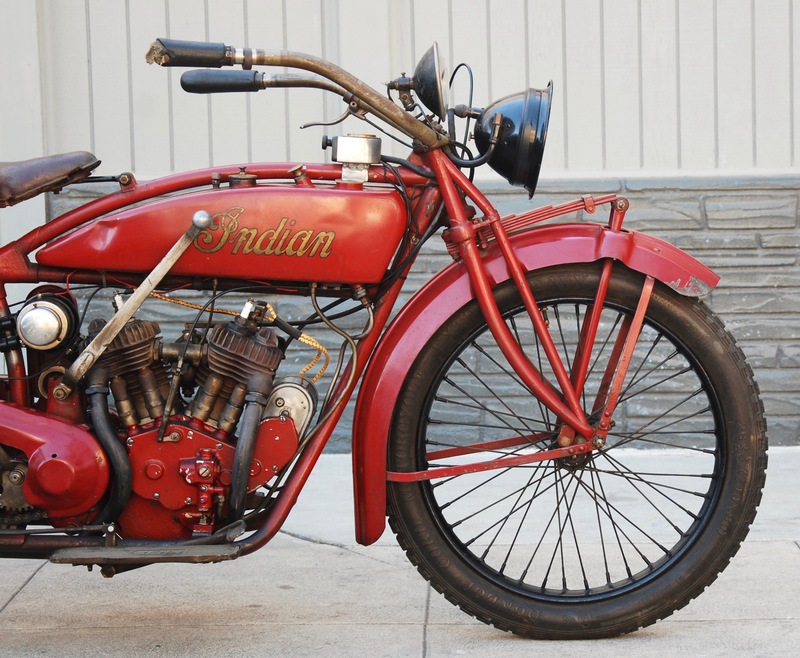 The 1920 Indian Scout being offered, represents the initial year of production for the little Scout. 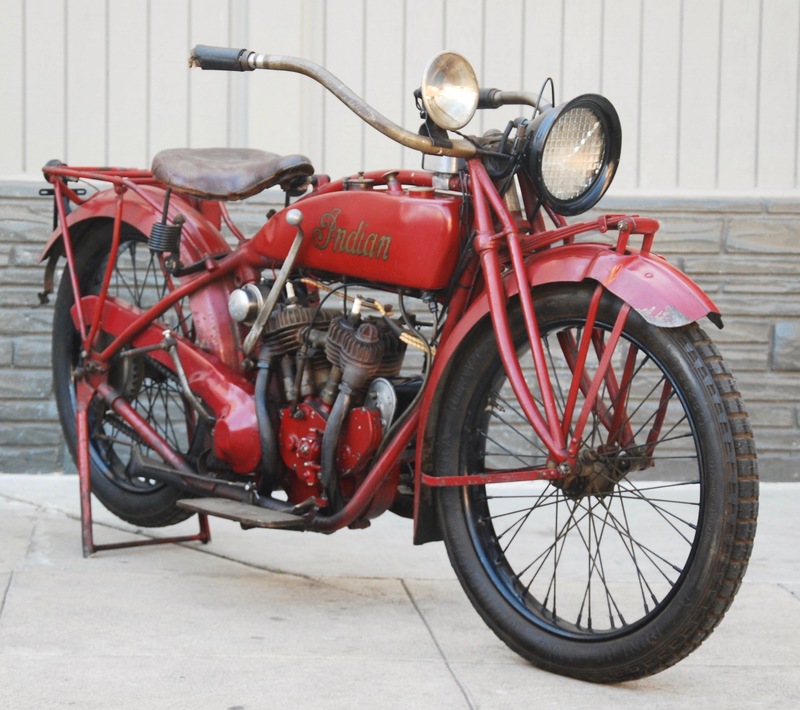 It would grow in subsequent years to become one of the most famous motorcycles to roll from the Springfield factory. 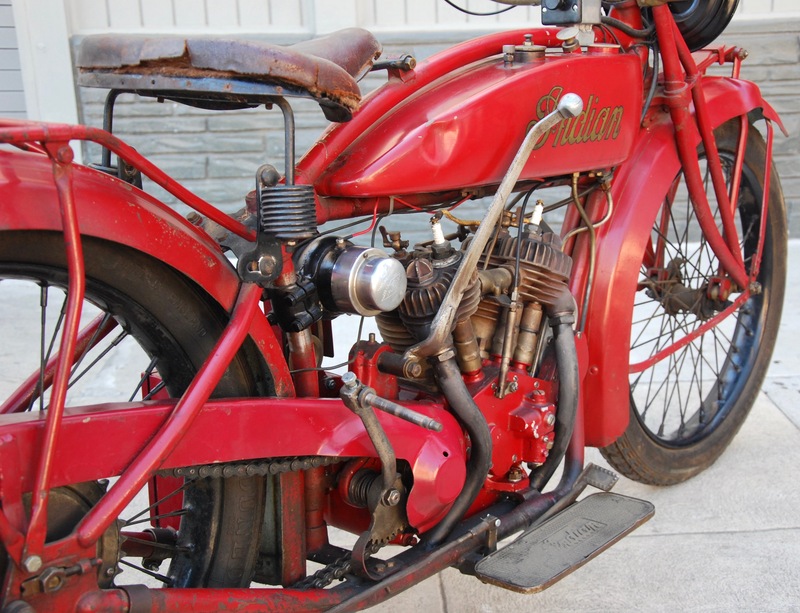 An sympathetic older restoration, the motorcycle received paint restoration to only a few parts, and remains largely untouched. Same for all the nickel plating on this machine, remaining as it was delivered from the factory. 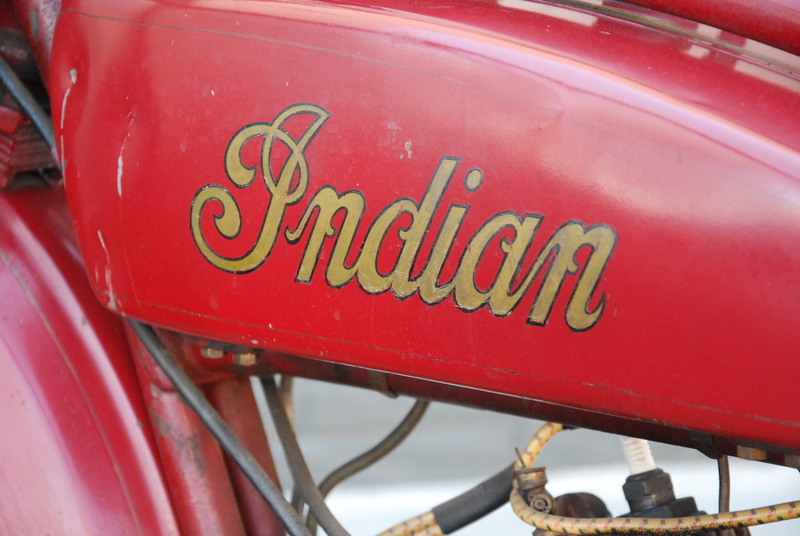 Even the saddle is original! This Scout weighs a mere 340 lbs. 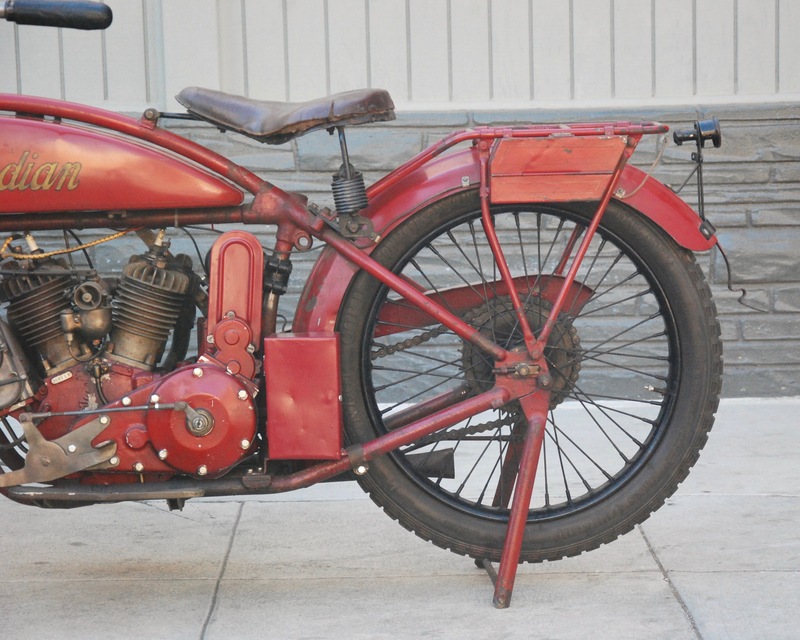 wet which makes it attractive to new riders to the antique world, just as it did when new. The saddle height is a low 28 inches and the bike rolls on 20” wheels. 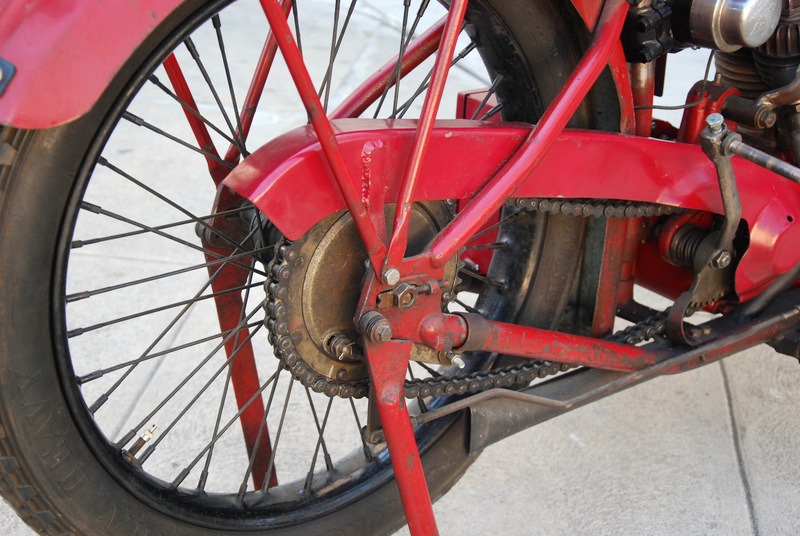 A 3-speed sliding gear transmission provides the drive from the primary, shifting through a hand lever on the right side of the bike. 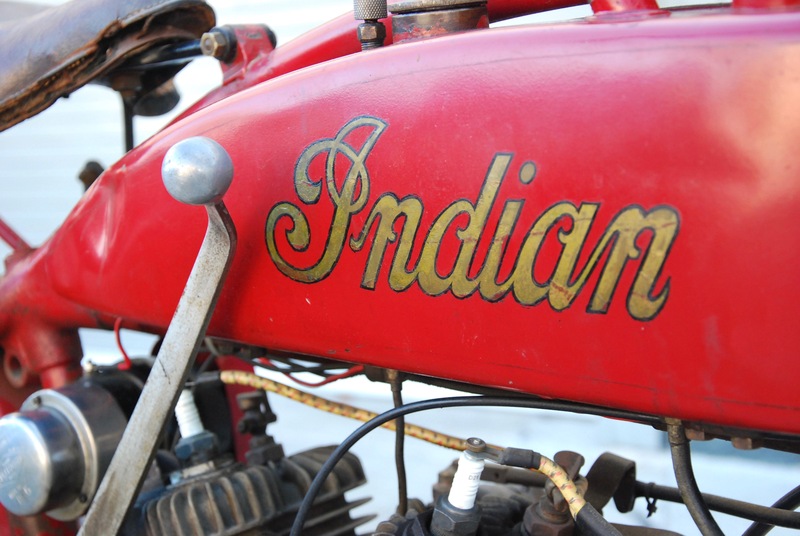 The throttle is typical Indian and on the left grip of course. 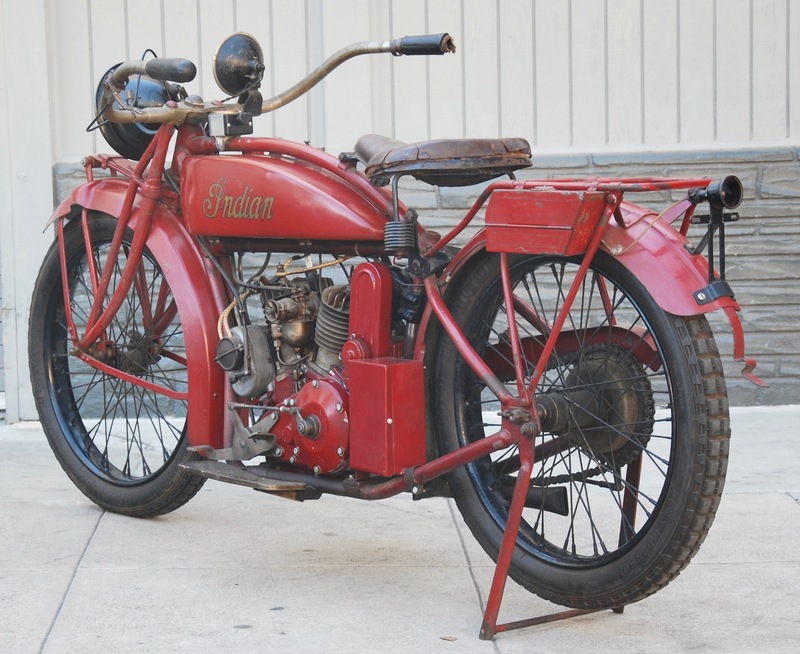 On static display for several years, the bike will need minimal re-commissioning to return it to regular road use. 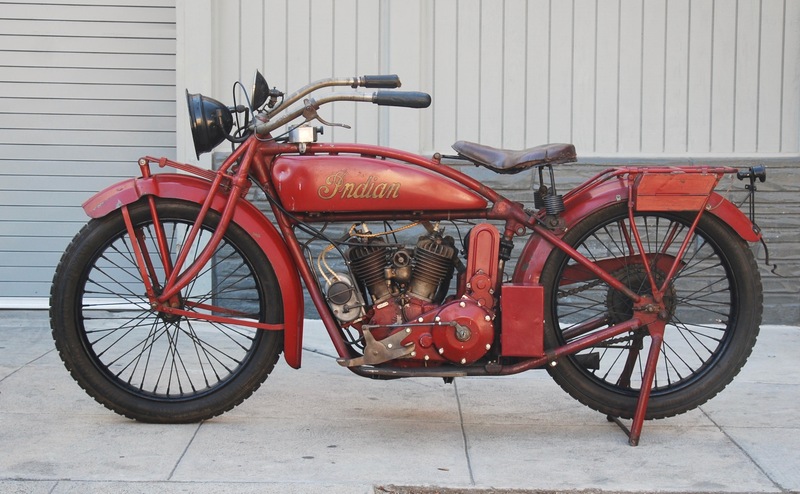 As such, this little Scout could easily become one of your favorite motorcycles to enjoy.